Can’t wait to read the entire Mueller Report? Don’t hold your breath. Friday’s decision by the US Court of Appeals for the DC Circuit appears to sharply limit the discretion of judges to order disclosure of any grand jury materials, which might result in a highly redacted public document. In a 2-to-1 decision in McKeever v. Barr, judges ruled that a court can reveal grand jury materials only if they meet specific exemptions in the law; those exemptions include disclosure to another grand jury, to a state prosecutor, or to the intelligence community. As recently as 2016, another appellate court had come to a different conclusion. Three years ago, the US Court of Appeals for the 7th Circuit held that the court had the authority to disclose grand jury materials, having the power to balance the need for secrecy against compelling “policy interests,” said Barbara McQuade, a University of Michigan law professor and former US Attorney for the Eastern District of Michigan. McQuade and Andrew Wright, former associate counsel to President Barack Obama, participated in a webinar on the Mueller memo Friday afternoon sponsored by the American Constitution Society (ACS) and Citizens for Responsibility and Ethics in Washington (CREW). 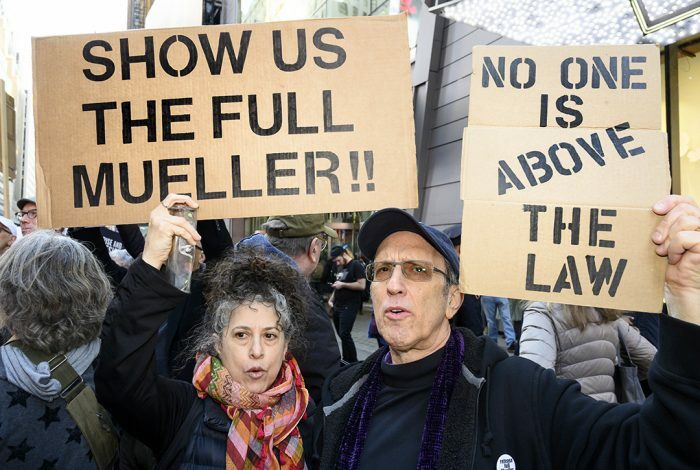 While Friday’s decision might make it harder for a federal court to disclose details of the Mueller investigation, McQuade noted that the DC Circuit also cited another decision that could continue to make it possible for the House Judiciary Committee to see the grand jury material in the Mueller report. Haldeman v. Sirica was issued in 1974, at the time of the Watergate scandal. The court held that it was lawful for the House Judiciary Committee to receive grand jury material. Under legal rules governing the disclosure of grand jury information, McQuade said, grand jury materials may be shared with another grand jury, or in connection with another judicial proceeding. During Watergate, the House Judiciary Committee was “acting as a grand jury in an impeachment proceeding,” McQuade said. 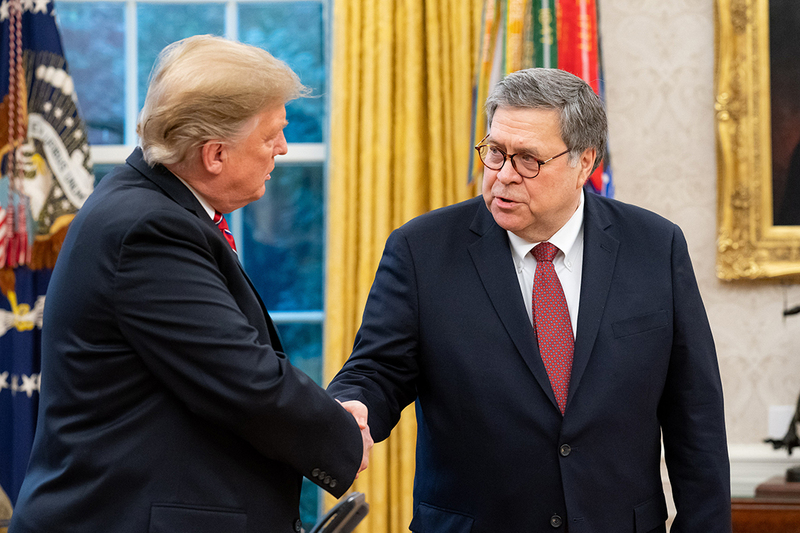 President Donald Trump with Attorney General William Barr in the Oval Office. She said that the same exemption should apply to the current House Judiciary Committee. Asked by WhoWhatWhy whether the committee would have to vote to impeach for that exemption to apply, McQuade said an impeachment vote would not be necessary. Since House Judiciary has the “responsibility to impeach,” it would need access to the materials before making that judgment, she said. She also noted that grand jury materials do not necessarily include information from “500 search warrants” and the several hundred interview reports that also are part of the Mueller investigation. Barr does have some “discretion” about what materials were considered under the grand jury restrictions and what information is not, she added. Other information in the Mueller report could be withheld if the White House were to invoke executive privilege, Wright said. The White House has a legitimate concern about releasing information that could compromise national security, White House deliberations, or classified sources and methods, he added. But, he stressed, executive privilege “is a qualified privilege” and Congress should “articulate their need” to see the full report. Executive privilege would not extend to pre-inauguration activities” and “should not be used to cover up misconduct,” he said. He said that Barr was “at a critical decision point.” If he excises only extremely sensitive materials such as the identities of “human assets” in Russia but lightly redacts the memo he sends to Congress, Congress will be in a weaker position to contest his decision. McQuade wondered whether recent news stories citing anonymous sources close to Mueller investigators frustrated by the lack of disclosure weren’t “a warning to the Attorney General” that, if he exercises too much discretion over what is disclosed, there will be consequences.